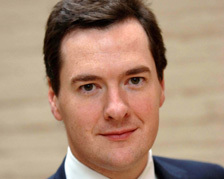 George Osborne calls for opening up of £125 billion public procurement spending to Britain’s small businesses. The shadow Chancellor, George Osborne, today called on the government to give small businesses greater access to the £125 billion government procurement budget. The plan which has won the support of the Federation of Small Businesses is deisgned to open up an important source of revenue to Britain’s SMEs as they face an increasingly difficult economic climate. – introduce an aspiration that 25% of government contracts should be awarded to SMEs. The Government has pledged to offer more procurement contracts to small businesses, but currently only 16 per cent of contracts are awarded to small and medium sized enterprises. Meanwhile the government today encouraged female entrepreneurs to make the most of WEConnect, an initiative launched earlier this year designed to give women in business greater access to corporate procurement contracts.